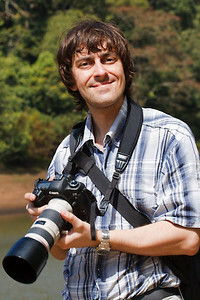 Dmitry Rukhlenko is a professional travel photographer originally coming from Minsk, Belarus. In 2009-2013 he was based in Chennai, India. He studied under Vadim Kachan, an outstanding Belarusian photographer (http://vadimkachan.by) and educator (http://kurs.vadimkachan.by). His photography subjects include but not limited to travel photos and landscapes. His commercial photography is marketed through both major traditional macrostock agencies (Corbis (US), Getty (US), Alamy (UK)) and microstock (Shutterstock (US), iStockphoto (Canada)). He offers professional high quality stock images of of India, Indian dance, Indian landmarks, landscapes and people. High resolution travel images from different states of India including Ladakh, Himachal Pradesh, Tamil Nadu, Kerala, Madhya Pradesh, Karnataka, Delhi, Goa, Delhi, Punjab, etc. Indian classical dance Bharatanatyam, Kathak, Kathakali, Odissi, Kuchipudi, Manipuri photos. Photos from Asia - Singapore, Thailand, Vietnam, Sri Lanka, Bali, Malaysia. Photos from Europe - Germany, Belgium, Czech Republic, Austria, Latvia, Belarus. Many photos can be licensed directly through this site or through the production agencies distributing his work (please contact the photographer if the photo is not available for sale on site). They are available as RM or RF depending on a particular image. Prints also can be ordered. All images are shot with professional Canon camera + L-lenses and Fujifilm X-system to adhere to all highest quality standards and meticulously retouched and post-processed. The workflow is entirely digital. His clients include Intel, New Belgium Brewing Company, Leela Kempinsky, Gluedesign, World Wide Fund for Nature, Turkish Airlines. His images were used by National Geographic, Ebay, USA Today, Suzuki-Maruti, Geo, Lipton, Agoda, Yoga Journal, on numerous book covers, in publications and ads . Please feel free to search in the portfolio or contact the photographer for image requests or future assignments. 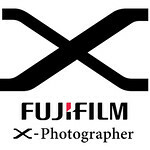 Dmitry Rukhlenko is an official Fujifilm X-photographer (Fujifilm Ambassador) since 2018.